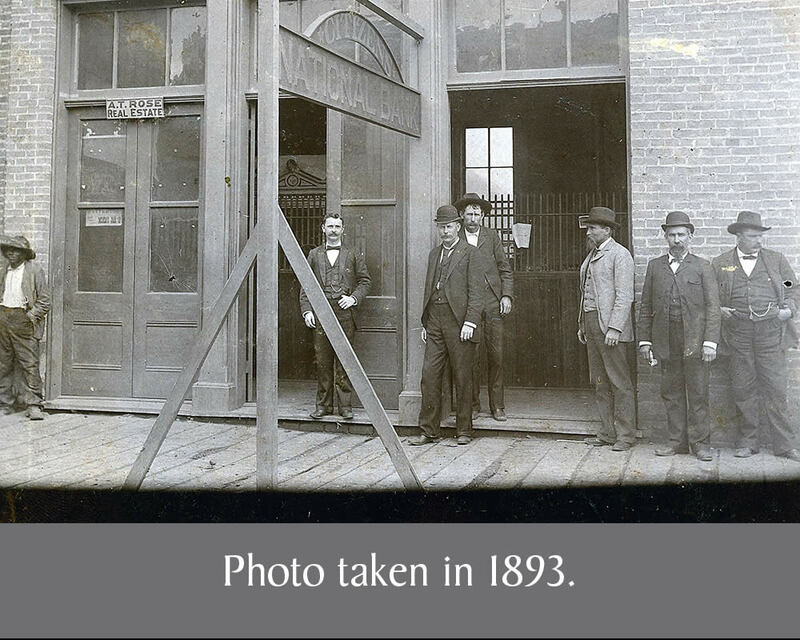 A group of 42 businessmen, primarily from Hillsboro and Hill County, assembled at an organizational shareholders meeting on March 27, 1893 for the purpose of establishing what would be the fourth banking institution in Hillsboro at that time. Nine directors and three bank officers were elected. 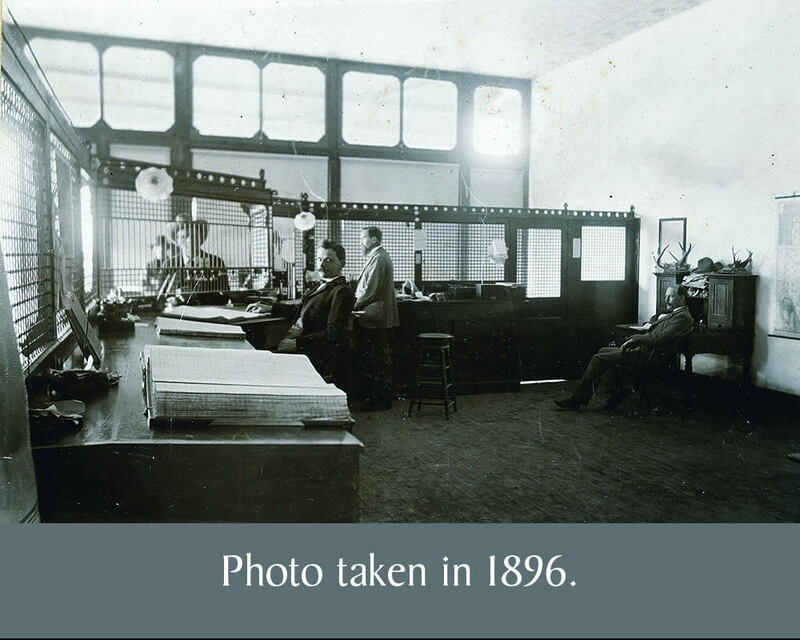 An Organization Certificate and Articles of Association were prepared and submitted to the Comptroller of the Currency on April 12, 1893 and a national banking charter for the operation of a commercial bank in the City of Hillsboro was issued on April 20, 1893. The initial capital stock of the bank was $50,000. 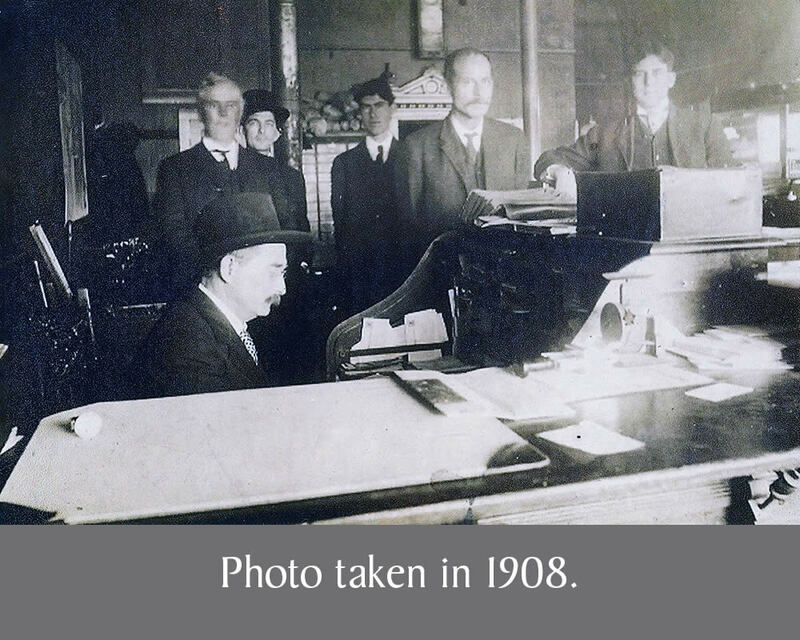 The actual date of opening was May 18, 1893 in its first location at 106 East Elm Street or what is currently the east end of a former building where Frenkie’s Restaurant is now located. The Bank rented office space at this location from A.T. Rose, realtor, who was an organizing stockholder and director. After a short stint at its first location, the Bank moved across the street to the northeast corner of Elm and Waco Streets in January, 1894 into what is currently A Tiskit – A Taskit. This building was known as the Abbott Building and the Bank conducted its business there until 1912. 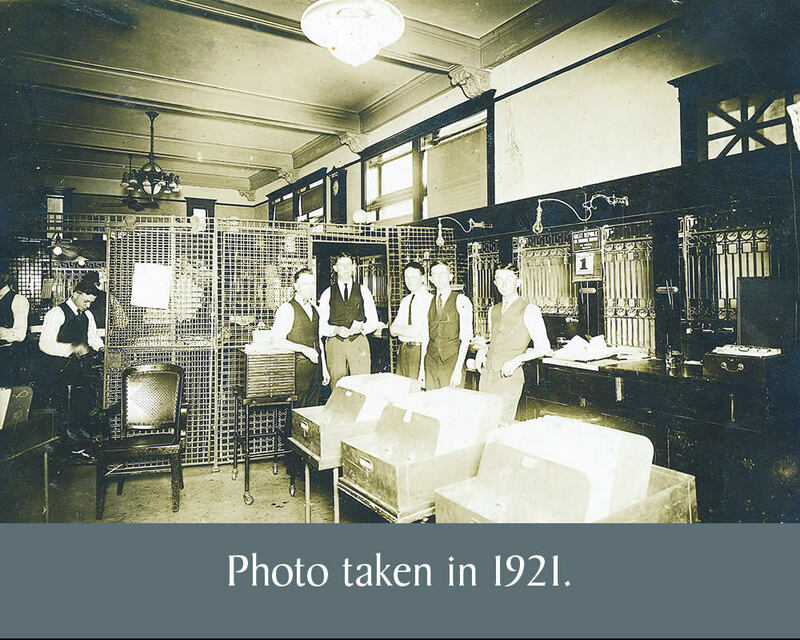 The Bank, having always leased and never owned its own building in the first eighteen years of operation, began looking for a new location in December, 1911. The Board of Directors’ minutes call attention to “the excessive number of banks and competition currently in town.” In addition to Hillsboro’s banks, it is also worth noting that there were no less than ten banks otherwise located in Hill County at this time. The small rural communities of Itasca, Blum, Whitney, Brandon, Abbott, Malone, Bynum, Irene, Mt. 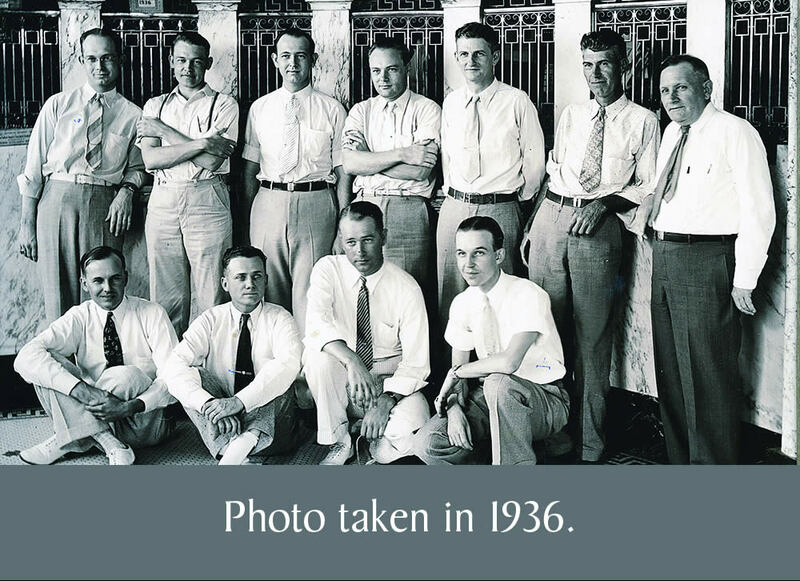 Calm and Hubbard all included banking institutions to serve their banking needs. One of Hillsboro’s banks, the Sturgis National Bank, was organized in 1875 as the Abbott & Sturgis Bank, reportedly the first bank in Hill County. Its location at the southwest corner of Waco and Elm Streets was most likely the first commercial building site for the newly organized town of Hillsboro. When the original frame building burned in 1882, Sturgis Bank reconstructed a brick building. 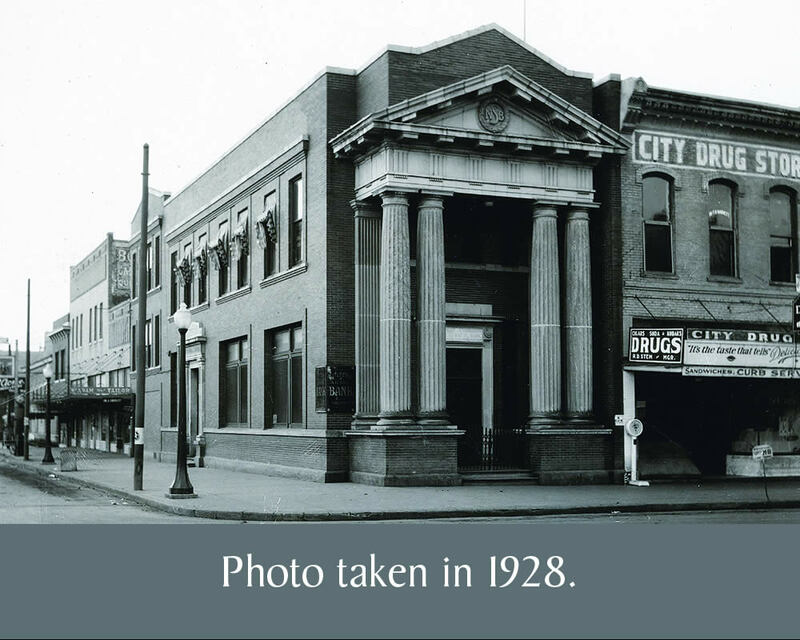 Negotiations for Citizens’ consolidation with the Sturgis National Bank began in early 1912 and the banks officially merged in August of that year with the surviving bank taking the Citizens National Bank name and the Sturgis building on the south side of the courthouse square. Capital increased from $50,000 to $200,000. The Bank continued operations from this location for the next fifty-three years until the Bank’s directors recognized that more office space and customer parking were sorely needed. Also, “motor banking” had become a trend that allowed bank customers to transact business from the convenience of their vehicle. It was announced in April, 1963 that the Bank had purchased three adjoining lots in the 200 block of East Elm Street, namely, the Johnnie McCauley Mobil Service Station on the corner, the Lula Wilson house and the Grant Buie Hospital, in order to relocate the bank. 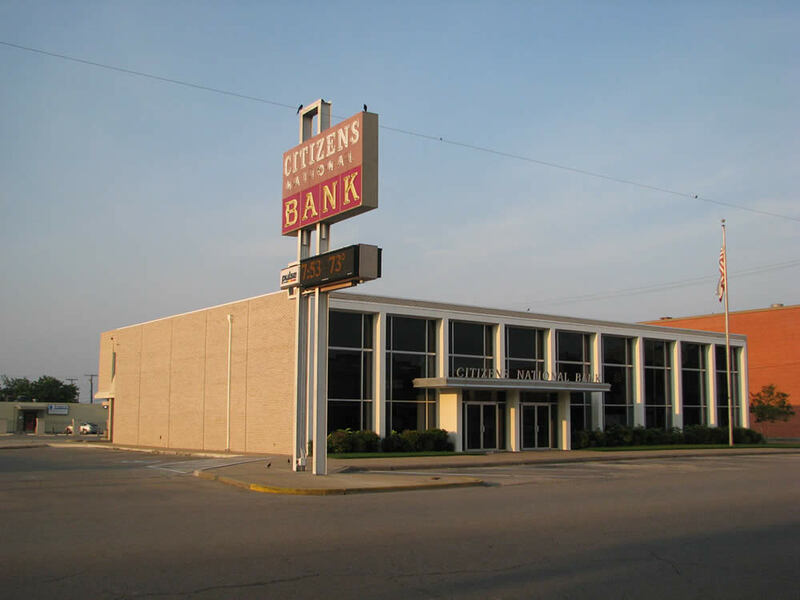 This was to be the fourth location of the Bank, with all locations being within two blocks and on the same street as the original location. 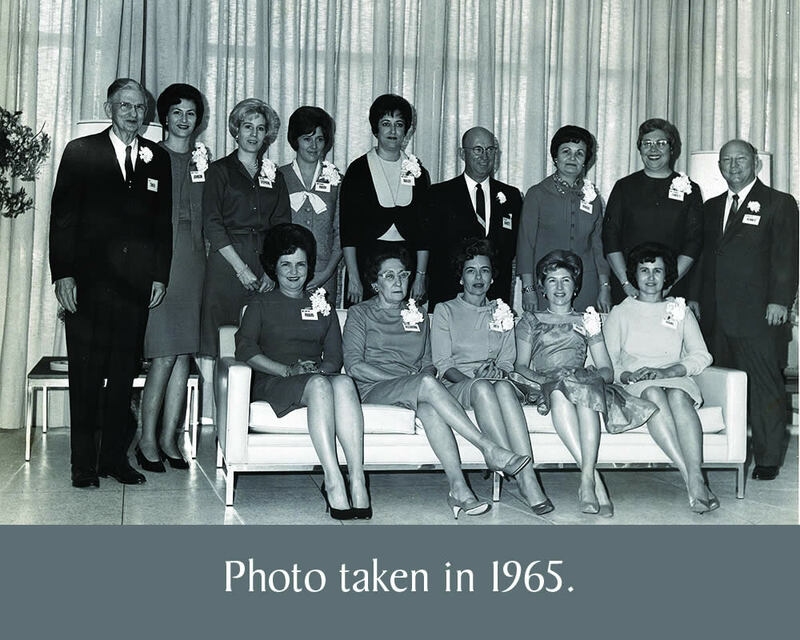 The new, modern building was completed in December, 1965 – the Bank’s seventy-second year of operation. An open house was held Sunday afternoon, December 12th and the new facility was open for business the following day. It has continued operation in this location these fifty-two plus years. In recent years, to better serve its customers and relieve overcrowded conditions downtown, the Bank began an effort to locate and construct a second location in the community. 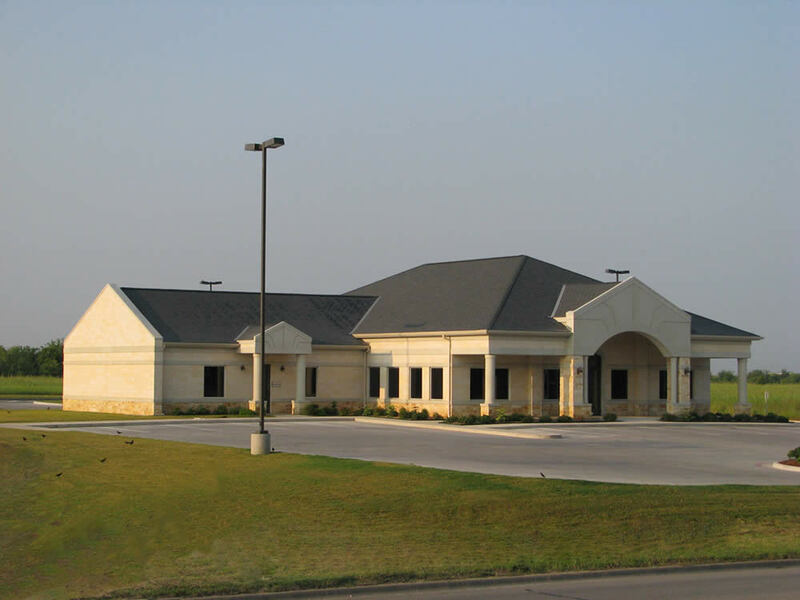 It purchased land in December, 2004 on Highway 22 (Corsicana Highway) in east Hillsboro and completed the construction of a new branch bank facility. That location opened in May, 2007 and included space for the Bank’s retail investment office, Citizens Financial Services.